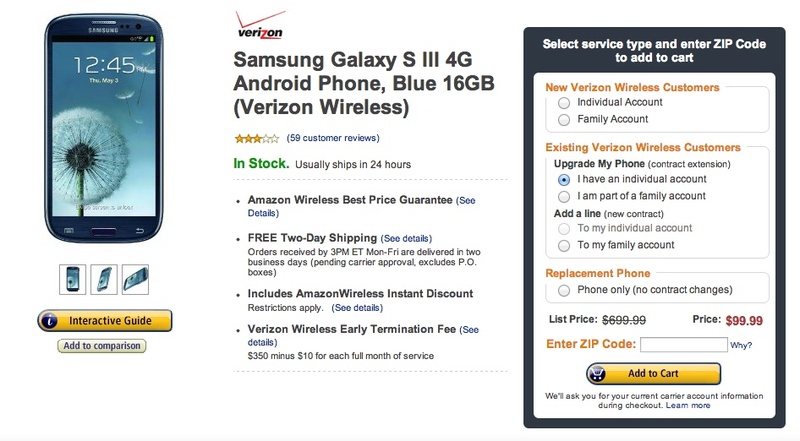 With Best Buy running a $100 off promotion for the Samsung Galaxy S3 today, Amazon was feeling a bit left out and decided to tweak their own listings. Both new customers and those with upgrades can take advantage of a $99 deal on the Verizon, Sprint, and AT&T GS3 16GB models. T-Mobile isn’t listed, but Sprint is. And since Best Buy isn’t discounting the Sprint version, then this is your option, Sprint customers. Both blue and white versions are discounted – you’ll find links to blue below.